Our reputation is based on quality, relevance, and innovation. The cornerstone of the department’s curriculum is providing the students the opportunity to learn by working with successful industry professionals. The program differentiates itself by providing a structured curriculum with a singular emphasis on developing capable, innovative, and professional fashion designers, with a comprehensive knowledge of both moderate and designer markets. Unlike other programs, where students compete for faculty attention and resources, our students receive an abundance of guidance from faculty in a resource-rich environment that encourages collaboration to accelerate their development. For decades, this formula has proven successful in preparing students for a seamless transition into the industry. This is evidenced by approximately 86% of each graduating class employed as Assistant Fashion Designers within 3 months of graduation. The department has cultivated a strong relationship with the fashion industry and prides itself with being on the cutting edge of innovation. Embracing technology as quickly as it becomes available through partnerships with leaders in the fashion industry has become a regular practice. This is largely possible because the department considers itself a think-tank for industry innovation. Our students are known for producing the highest caliber of work. Both the Junior and the Senior class present their work at the annual Scholarship Benefit and Fashion Show and are also showcased in the Neiman Marcus windows in Beverly Hills, as well as being featured in off-campus exhibits. Innovation in fashion design results from a rigorous process of developing and editing ideas that address specific design challenges. Students in our program become educated and practiced in all aspects of the design process as they work towards a Bachelor of Fine Arts (BFA) in Fashion Design. The program differentiates itself from other art and design competitors by providing a structured curriculum with a singular emphasis on developing capable, innovative, and professional fashion designers (with a comprehensive knowledge of both moderate and designer markets). For decades, this formula has proven successful in shaping students into creative professionals prepared for a seamless transition into the industry. With a student to faculty ratio of approximately 13:1, our intensive program features current and visible designers, who serve as mentors, working in tandem with expert, professional faculty to facilitate beneficial learning experiences. In their Junior and Senior years, they have the opportunity to work in teams to create unique designs under the guidance of mentors, emulating professional designers and following the industry's seasonal schedule. Students emerge from our program as creative professionals prepared for the industry. 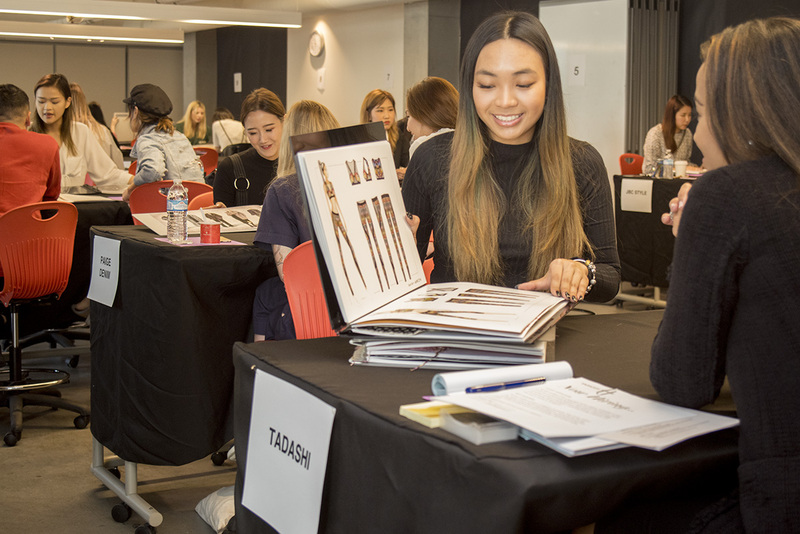 Mentors for Juniors and Seniors include Ruben & Isabel Toledo, A|X, Anthropologie, Leon Max, Under Armour, Halston,Kaufman/Franco, Albert Wolsky, Patagonia, Todd Oldham, Antropology, Vera Wang, Mark Badgley and James Mischka, Eddie Bauer,Uniqlo, Monique Lhuillier, Nike, Natalie Chanin, Trina Turk, John Varvatos, Hurley, Urban Outfitters, Disney, Universal Studios, Tadashi, Mattel, Cirque du Soleil, and Bob Mackie. See this year’s mentors and a full list of past mentors. Sustainable design principles are part of a core curriculum that focuses on designing for tomorrow. Offering core coursework that explores eco-friendly, smart design, fashion students also have the option to minor in Sustainability. The department is also the proud founder of the Otis Sustainability Alliance, a group of creative leaders from the fields of fashion, design, art, and higher education who are committed to advancing the environmental, social, educational, and economic dimensions of sustainability through our work as artists, designers, and educators. See Otis Sustainability Alliance. The program's high profile events and robust network create avenues to showcase student talent, and together preparation and visibility create a demand for Otis students. 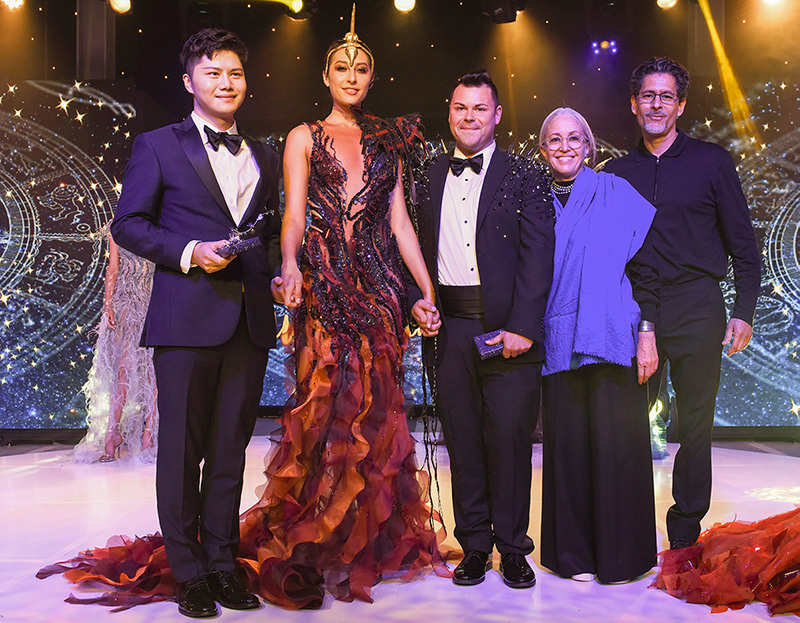 Junior and Senior designs are featured at the annual Scholarship Benefit and Fashion Show and showcased in the Neiman Marcus windows in Beverly Hills. Students study in a resource-rich environment with access to cutting-edge technology. 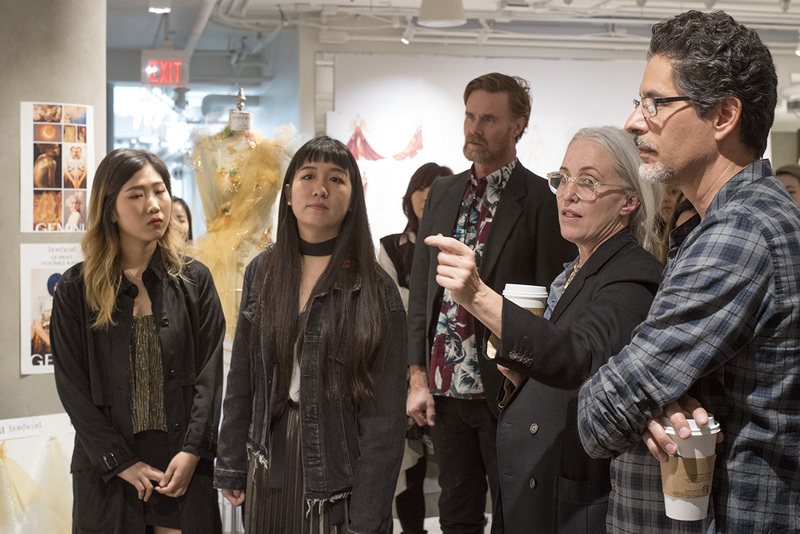 As an educational leader in the fashion industry, the Otis Fashion Design program enjoys many collaborations with industry technology leaders who offer the latest technology to Otis Fashion students to test its viability and its application to directional fashion versus basic fashion. This creates an invaluable learning experience for students keeping them on the cusp of developments and innovation. Additionally, Los Angeles provides one of the largest selections of textiles and notions in the United States. With abundant resources and references at their fingertips, students produce original designs and develop collections for their portfolio throughout their studies. Within three months of graduation, 86% of the graduating class are employed as Assistant Fashion Designers and making approximately 30% more than the average salary. Many seniors are recruited prior to graduation and all juniors are provided opportunities to intern at vetted brands and ateliers. Alumni thrive in the industry and quickly make their way to positions of leadership or develop their own collections or brands. See Careers and Internships and Notable Alumni. The program is competitive and enjoys top ranking. Ranked #1 nationally and #1 on the West Coast, it receives ample press and continues to thrive. Fashion Design majors may opt to declare a Sustainability Minor. Please see Minors for more information. 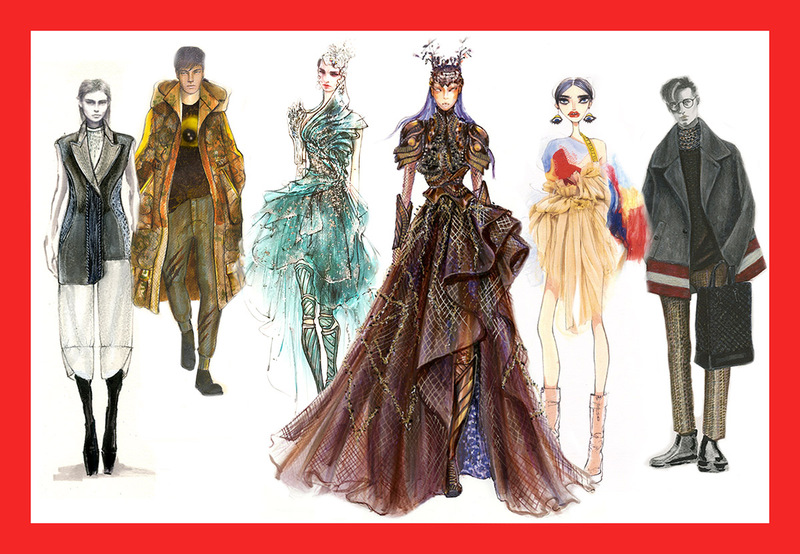 Fashion Design majors also have the option of studying with an emphasis on Costume Design. Visit our blog and see student projects take shape in our studios. An overview of the Fashion Design curriculum with course descriptions. The Costume Design emphasis track prepares Fashion Design majors for the ever-changing entertainment industry. Academy Award winning costume designer Louise Mingenbach & Jose Fernandez from Ironhead Studio, pictured above, mentored a project in 2017-2018. Following the industry schedule where several seasons are designed simultaneously, students are educated in all aspects of the design process for an easy transition into professional careers in the fashion industry. You can view all of the mentor projects, including Universal, Bally, Chris Chang, Louise Mingenbach/Ironhead Studio, in our student work gallery. 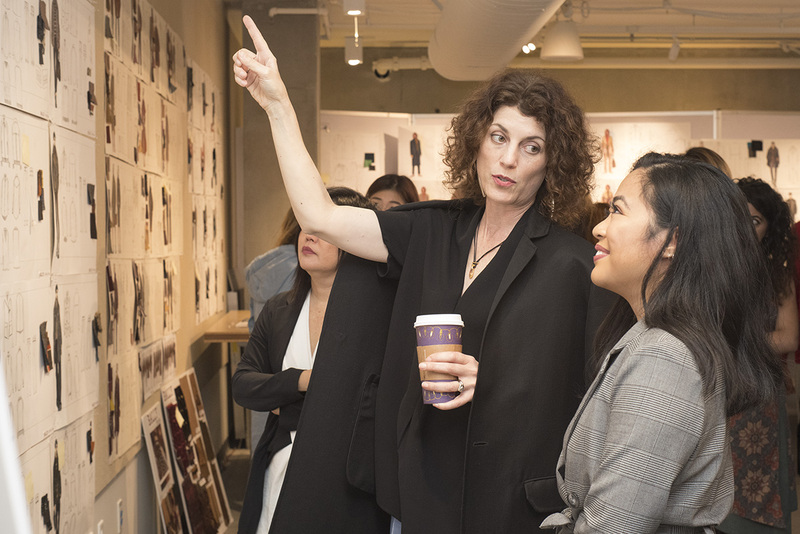 Mentors offer an assessment of junior and senior student work via a critique of mentored projects during design development, sketch selection, and fittings. Above Claudia Cividino directs a project for Bally. Sustainable design principles are part of a core curriculum that explores eco-friendly design with the option of a minor in Sustainability. Mentor, Devora Lindner, from Prairie Underground, pictured above, led a project utilizing hemp fabrics. 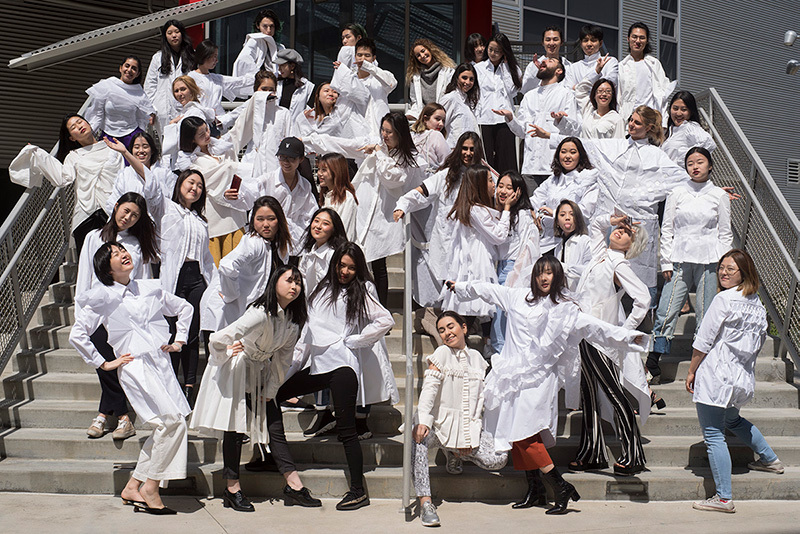 Fashion Design faculty are industry professionals working for major brands, couture labels, and entertainment, view their bios here. 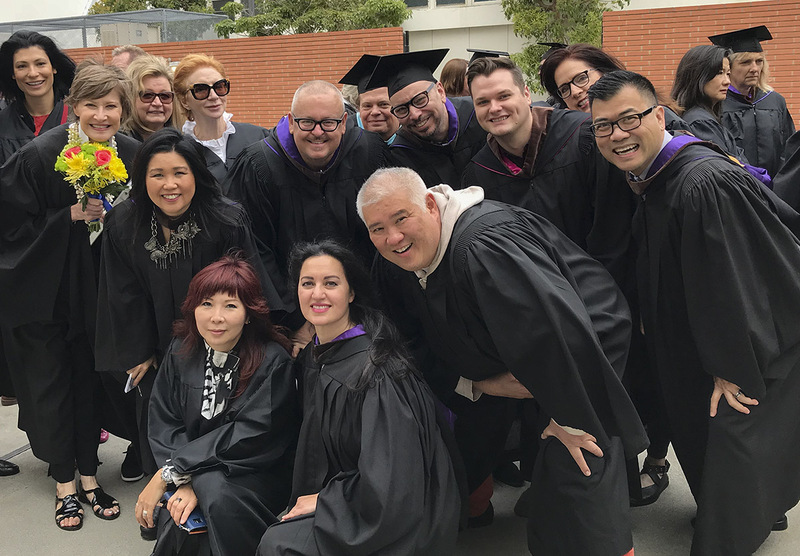 With evidence-based student learning outcomes that adhere to industry standards, fashion design students continue to exceed standard graduation and job placement rates.